Poison Perfume advert from 1984. 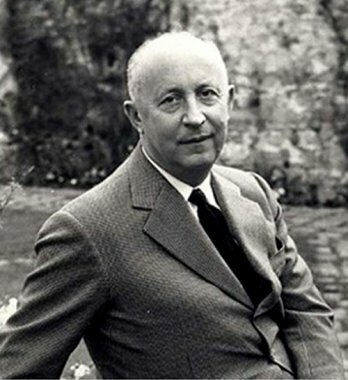 Christian Dior (21 January 1905, Granville, Manche – 24 October 1957), was an influential French fashion designer, best known as the founder of one of the world’s top fashion houses, also called Christian Dior. Christian Dior was born in Granville, Manche, a seaside town on the coast of France. His family, whose fortune was derived from the manufacture of fertilizer, had hopes he would become a diplomat, but Dior only wished to be involved in mostly fashion, but sketching as well. To make money, he sold his fashion sketches outside for about 10 cents each. After leaving school he received money from his father so that in 1928 he could open a small art gallery, where he sold art by the likes of Pablo Picasso. After a family financial disaster that resulted in his father losing his business, Dior was forced to close the gallery. From the 30’s to the 40’s he worked with Robert Piguet until being called up for military service. In 1942, having left the Army, Dior joined the fashion house of Lucien Lelong, where he and Pierre Balmain were the primary designers. For the duration of World War II, Christian Dior dressed the wives of the Nazi officers and French collaborators. On 16 December 1946 Dior founded his own fashion house, backed by Marcel Boussac, the cotton-fabric magnate. The actual name of the line of his first collection, presented in early 1947, was Corolle (literally the botanical term corolla or circlet of flower petals in English), but the phrase New Look was coined for it by Carmel Snow, the editor-in-chief of Harper’s Bazaar. Dior’s designs were more voluptuous than the boxy, fabric-conserving shapes of the recent World War II styles, influenced by the rations on fabric. He was a master at creating shapes and silhouettes; Dior is quoted as saying “I have designed flower women.” His look employed fabrics lined predominantly with percale, boned, bustier-style bodices, hip padding, wasp-waisted corsets and petticoats that made his dresses flare out from the waist, giving his models a very curvaceous form. The hem of the skirt was very flattering on the calves and ankles, creating a beautiful silhouette. Initially, women protested because his designs covered up their legs, which they had been unused to because of the previous limitations on fabric. There was also some backlash to Dior’s designs form due to the amount of fabrics used in a single dress or suit—during one photo shoot in a Paris market, the models were attacked by female vendors over the profligacy of their dresses—but opposition ceased as the wartime shortages ended. The New Look revolutionized women’s dress and reestablished Paris as the center of the fashion world after World War II.